Christmas Meeting 7.00 p.m. for 7.30 p.m. Monday 8 December A.G.M. 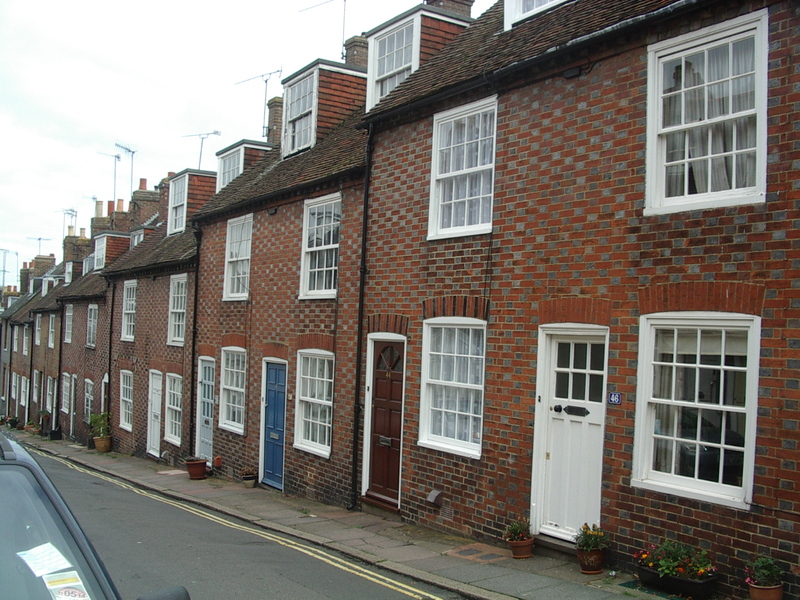 As part of the Lewes Streets Stories project, Rosemary Page and Sue Weeks set up a team of six back in October 2013 to research the history of the buildings and occupants of Sun Street, past and present. Following the very successful exhibition held in the Lewes Little Theatre foyer in September, the team will now be presenting their findings to a wider audience, with each member of the team describing what they have discovered so far. These include some delightful personal stories and a few surprises. They will explain the area’s original role, the origins of the street’s diverse architecture and its building materials. The old Police Station also has an intriguing past and there will be a glimpse at some of the crimes and scandals reported in the press. The project is still work in progress, so they will be seeking information from former and current residents that would help fill gaps. To bring the research to life, the team has put together a fascinating exhibition of their discoveries about Sun Street for people to view before and after the talk. As usual the meeting will be at the King’s Church building, Brooks Road, and all will be welcome. This will be our Christmas meeting and there will be no entry charge for members. The charge for visitors will remain at £3. We shall be serving mulled wine and mince pies, instead of coffee and biscuits, from 7 pm. William Langham Christie of Glyndebourne was the elected M.P. for Lewes from 1874 to 1885. The Lewes news in the 6 June 1919 Sussex Express was dominated by an account of the murder of a rag and bone collector called Robert Nye in a small open-fronted shed in the Grey Pit, Southerham. The victim, aged 62, had lived in the town for many years, but was of no fixed abode, and had no known relatives. He was known to most people as ‘Brummie’. Robert Nye and another rag and bone dealer called ‘Curley’ Rushen had spent the evening at The Fox public house in Southerham, together with a Canadian soldier called William Jordan, who was stationed at Seaford. The coroner’s inquest heard that the three men had shared a few pints in the crowded inn, but the evidence from the publican and his wife, John & Ellen Brooker, and from a cement worker also drinking there, was that they were all sober. The two rag and bone men were evidently regulars, but the landlady said she had never seen them the worse for drink. ‘Curley’ Rushen had wanted to sing about 9 o’clock, but the landlady had asked him to go outside, leading to an argument in which the soldier had threatened John Brooker with a pint glass. Brooker had sprung at him, taken the glass and removed him from the inn, and there was no further trouble. The three men then retired to the shed in the Grey Pit, where Nye and Rushen were in the habit of sleeping. Rushen confirmed that there was no quarrel at all between them as they made their way to the pit. In the middle of the night Rushen was woken up by a rain of blows on his face, to find William Jordan attacking him violently. He lost three teeth and quite a lot of blood, but made his escape, and ran to the town to get help from the police station. On the way, at 12.30 a.m. in South Street, he encountered a man called Herbert Duncan, who was on his way to work in the Lime Works at Southerham. When two policemen arrived at the Grey Pit, about an hour later, they discovered ‘Brummie’ Nye’s body in the shed. He was obviously dead, with his head so completely beaten in as to make him almost unrecognisable. Extreme violence had been used, and the police surgeon thought the damage could have been inflicted by the face being stamped on, forcibly and persistently, with heavy boots. He thought a good many of the injuries could have been inflicted after death. The body was wearing a grey flannel shirt, a waistcoat, two pairs of serge trousers, stockings and boots. There were a number of bags of rags about the shed, but no sign of any weapon. Herbert Duncan was summoned to help, and it was he who at daylight discovered Jordan, the Canadian soldier, asleep under a wagon nearby. He had bloodstains on his clothes, his right knuckles were skinned, he had ‘Brummie’ Nye’s watch and chain in his pocket and he was wearing ‘Curley’ Rushen’s jacket. He behaved quite passively when discovered, enquired whether he was under arrest, and why, and asked where ‘Curley’ had gone. When charged with murdering Robert Nye at South Malling on 30 May 1919, Jordan denied having done it, or even knowing anything about it until the morning. He was taken to Portsmouth prison, and declined the opportunity of attending the inquest. The coroner’s jury took only a few minutes to conclude that Robert Nye had been wilfully murdered by William Jordan, and he was committed to the Assizes. Robert Nye was buried by the parish in Lewes cemetery. This postcard by the Photochrom Company of Tunbridge Wells includes an interesting view of The Maltings, for about 30 years the home of the East Sussex Record Office but in 2014 transferred from the County Council to the District Council, in exchange for Southover Grange. This Edwardian postcard by the Mezzotint Company of Brighton features ‘Ye Olde Shoppe’ at Cliffe Corner, then occupied by R.T. Hayler, baker & confectioner and offering refreshments. The railway service from Lewes to Hastings began in 1846. Despite today’s mechanical equipment, could we deliver a new route to such a schedule today? 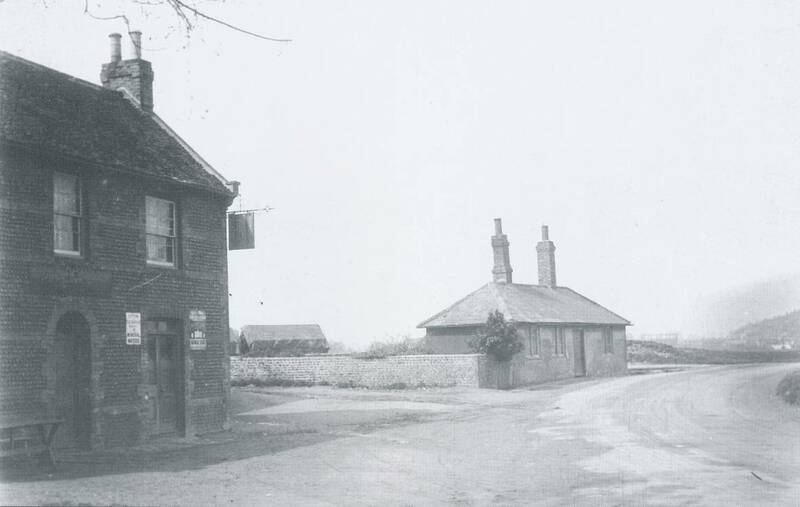 This photograph shows the Fox Inn, Southerham, and the nearby toll house for the Lewes to Eastbourne turnpike. Prior to the creation of the Lewes by-pass this was the main route in to Lewes from the east. Both buildings were owned by the Firle Estate. The photograph is from Bill Young & David Arscott, ‘Lewes Then and Now, Volume 2’ (2004), a fascinating volume illustrating both how much Lewes has changed, yet also how much remains very recognisable today. The most important initiative taken during the year was the continued development of the Street Stories project and our attempts to get both Heritage Lottery Fund (HLF) and South Downs National Park (SDNP) funding. Unfortunately our first submission to the HLF was turned down as was our subsequent resubmission. The main reasons given were that there was stiff competition for limited funds and there were several other projects that had ‘more tangible’ outcomes. Our submission to the SDNP was also turned down because the project was limited to only Lewes. However in spite of these disappointments we decided, together with all those members who want to participate, to continue with the Street Stories project. The LHG will support the project financially through the LHG Development fund as far as we are able and by seeking external funding for more specific elements as and when appropriate. The LHG is solvent and we now have sufficient funds to set up a modest Development Fund to support members’ projects. The steady growth in both membership and public meeting attendance that we saw in 2013 continued into 2014. This clearly confirms that the LHG is indeed filling an important role in the life of the town. The talks at our monthly meetings covered a wide variety of topics and in general were very well received by our audiences. An important, if less well known, part of the Group’s work is the Research Meetings programme. The purpose of these meetings is to enhance the expertise of members who want to undertake investigations. Topics have included Genealogy, Oral History, dating Victorian & Edwardian photographs and the Street Stories project. Each meeting attracted about 15 members and all were well received. Our regular marketing activities continue to build awareness of the Group and to attract large numbers of members and visitors to the monthly talks. We have established our online presence effectively with our website linked to Facebook and Twitter. These three are helping us to publicise events, and raise our profile, and they bring us new audiences in the UK and abroad. Our statistics continue to show a healthy growth in their usage. We have also created an online document repository which helps us to manage the business of the Group. The focus of the LHGEC work in 2014 has been primarily on developing the organisation. This will continue but with a significant shift of focus in 2015 towards encouraging the development of research activities. The LHGEC continues, unfortunately, to operate without a Secretary. I hope that suitable candidates come forward in 2015 and that we can fill this position. Both Ron Gordon as Treasurer and myself as Chairperson are happy to continue in post for 2015. It is with regret that I have to report that Paul Waller, co-opted EC member who took charge of our Outings programme, has decided to resign from the LHGEC because of other demands on his time. The LHGEC will miss his enthusiasm and his contribution towards the development the LHG. Ron Gordon, Ann Holmes, John Kay, Jane Lee, Barbara Merchant, Neil Merchant and Paul Waller. and everyone else who has helped out over the last year. My apologies to anyone in particular I may have unwittingly omitted. And most importantly, to yourselves for your continued support; the members, the attendees at our meetings and the many on our list of friends. Last year I reported that we had 175 members, and that we hoped to reach 200 in 2014. I’m pleased to say that today our membership stands at 218, and already more members have renewed than had by the end of January last time around. We also have over 200 names on our “Information only” email contact list, so we’re in touch with over 400 people in total. Again, I’d like to thank everyone for their helpfulness over membership matters, which has made my job a pleasure. We have published an edition of the Bulletin each month, and held eleven evening meetings. Typical attendances are regularly 100+ with February and July giving the largest audiences, nearly 150 in each case. These were for the talks on ‘The history and conservation of No 1 North Street’ by Lewis Orchard and ‘The inside track on the Lewes horseracing industry’ by John Turley. Contributing historical features ideas to Viva Lewes to fit its monthly themes. Ashley Dowlen, a former journalist, volunteered to do the writing on our behalf and has published five articles using research contacts supplied by LHG. Using our social media accounts to interact with more tech-savvy audiences. We now have 204 (was 69 last year) following @LewesHistory on Twitter & 150 on facebook.com/LewesHistoryGroup (was 42 in 2013) as at 25/11/14. In January our survey into what people liked and what they wanted, revealed that 55% of respondents (24) had heard about the talks via editorial in the Sussex Express and the ‘what’s on pages’ of Viva Lewes magazine. Coverage in Lewes News and the LHG Bulletin each accounted for 39% (17) of the votes. The usage of our website continues to grow, with a daily average of 90 views per day for 2014, nine times what it was back in 2010, and amounting to over 30,000 views this year. 2014 has been a big year for history, and particularly in Lewes. Our News section has become a reliable “what’s on” for history events locally, with anything relating to Edward Reeves photos attracting huge attention. We provide access via the website to our own Bulletins, talks, visits and resources and these also received a lot of interest, similarly the research done by our members, such as the Chapel Hill history. We have been using social media to deliver our news and stories to you, rather than requiring you to visit our website on spec. Social media users can do this by using our Facebook page, and following us on Twitter. You can also register on our website so that we email our news items direct to you. All relevant links are on our website. These online methods have also helped us to reach a wider audience, such as thousands on the new Lewes Past Facebook Group. Lastly, we have documented the way we run this organisation, using an online repository which helps us to manage the business of the group and to maintain good records. During 2014 we set up our outings programme based on the results of the Questionnaire we circulated at the end of 2013. Unfortunately the level of participation was so low we have decided not to set up a 2015 programme. However we will arrange outings on an ad hoc basis as and when opportunities arise and there is sufficient interest. Lewes History Group income for the year 1st Dec 2013 to 30th Nov 2014 was £4,362.12 and expenditure for the same period was £2,736.06. Both income and expenditure were higher than the previous year, reflecting increased membership and attendance. Expenditure was higher for room hire and speakers as additional small meetings have been held for research projects. The end of year balance £3,904.62 continues to show a healthy surplus which provides a good base for the group to expand its activities in research projects. It is proposed to retain the same entrance fees and membership subscription for the next year. 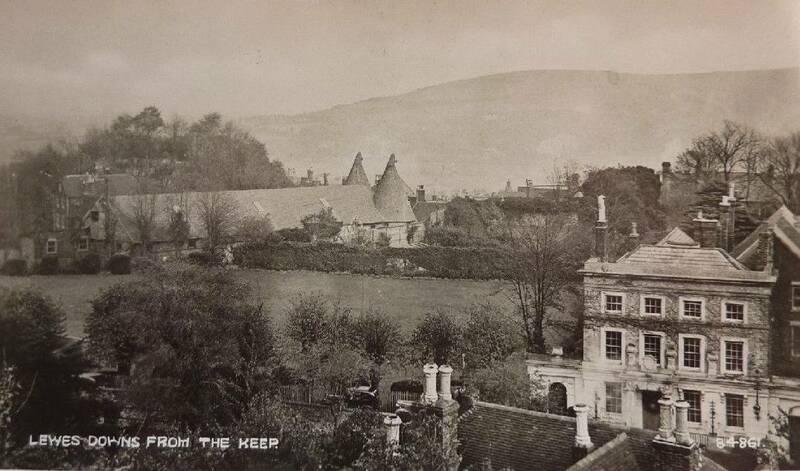 This entry was posted in Legal History, Lewes, Local History, Social History, Transport History. Bookmark the permalink.